Expressing gratitude and looking ahead. This final Harrisburg Happenings is bittersweet. In respect to the democratic process, the people have spoken. Our electorate has chosen new leadership not only at the national level, but also in the 49th Senatorial District, as a wave of change washes over our country. I told the media on election night that my successor's successes are our successes. I wholeheartedly meant that, and still do. We move forward together to support ongoing efforts, as collaboration has been and will continue to be the key to this region's enduring prosperity and sustainability. I've always felt that relational synergy is something that can't quite be quantified, but is imperative for progress – one of those things that you simply feel. It is now incumbent upon us all to channel our synergy, working across obvious boundaries to find the greater good. I still believe it is there to be found. Please accept my humble gratitude for the ability to serve this community as your Senator for these last four years. Other than becoming a father, it has been the honor of my life. This role has afforded us countless opportunities to meet so many amazing people and play a small role in helping them – that is what we will miss the most. In "Harrisburg Happenings," I've often cited President John Fitzgerald Kennedy, as I feel he is one of the greatest Americans in history. President Kennedy once said, "As we express our gratitude, we must never forget that the highest appreciation is not to utter words, but to live by them." What happens in our state Capitol has more impact on your daily life than any presidential election ever could. What happens in our state Capitol has more impact on your daily life than any presidential election ever could. The 203 members of the Pennsylvania General Assembly make decisions every single day that have direct bearing on the 12.5 million citizens across our Commonwealth. Those decisions need to be informed and representative of the populace served by each member, and that is where you play a major role by making your views known and your voice heard. It shouldn't just be during an election year that you share your thoughts on issues, and your stance need not be dictated by your party affiliation. After all, those whom you elect are indeed chosen to embody the fight for your best interests and shared community well-being. 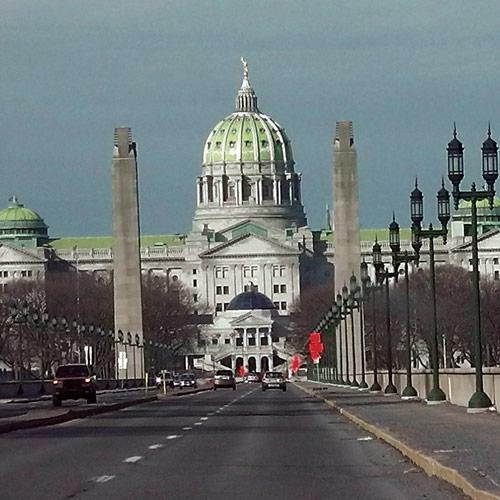 So as I sign off, be sure to continue to watch intently what is happening in Harrisburg – I know I will. Senator Sean Wiley served the 49th District from 2012-2016. No, Napoleon. Some animals are not more equal than others.